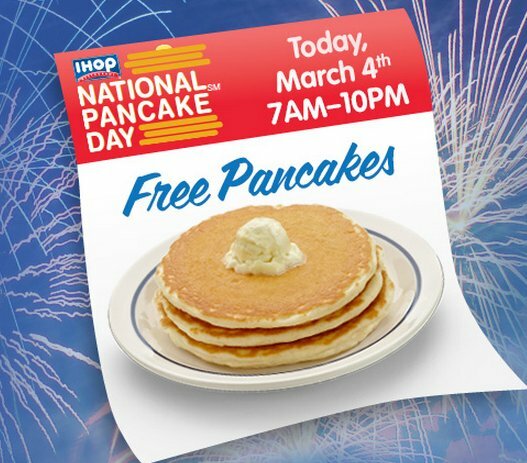 Because everything is awesome, IHOP is giving away free pancakes all day on Tuesday, March 4, from 7 a.m. to 10 p.m. In exchange, the company hopes you'll consider donating a couple bucks to charity. On March 4, 2014, guests from around the country will once again celebrate National Pancake Day at IHOP restaurants and enjoy a free short stack of Buttermilk pancakes*. In return for the free pancakes, guests will be asked to consider leaving a donation for Children's Miracle Network Hospitals... or other designated local charities. *Only one free short stack per person. Don't be a terrible person and demand unlimited pancakes. You can find more information about the deal at ihoppancakeday.com.